An adorable heroine with amazing character growth. Aubree is a bit naive and immature in the beginning of the story, but she’s always fun and relatable. She gets herself stuck into a lot of really awkward situations which made me cringe in empathy, but the way she handles herself and grows throughout the story is just beautiful. Wanderlust. All the wanderlust. All I could think of while reading this book was ‘I want to be on this tour’. I don’t care if it was with a fairly incompetent tour guide and a few senior citizens, I just wanted to go on a tour though Europe. I wanted to see all the sights then and I still have some major wanderlust right now. Amsterdam, Salzburg, Vienna, Prague, Venice, Cinque Terre, Monaco, … It was all described so beautifully, with a few interesting tidbits here and there and now I just really want to see it all myself! The senior citizens. Oh my, they were so funny and cute and hilarious! I really loved how each and every one of them felt like a real person and none of them were the sterotypical ‘sweet grandma’ or ‘grumpy grandpa’. It was so nice to read how Aubree was bonding with them all during the trip. They really made the book stand out in my opinion. Sam. Can I just say he has become one of my favorite love interests of all-time? He just had the most amazing personality and humor. I especially loved how he and Aubree got to know each other over the phone first of all and I was so looking forward to read their daily phone flirting sessions. When they finally met in person, I was worried that the chemistry would decrease, but I couldn’t have been more wrong. Sam’s a real charmer and it was super easy to see how Aubree could fall for him. Sister love. Aubree and Elizabeth definitely don’t have the most perfect sister-relationship, but I thought it felt very real throughout the entire book. They definitely helped eachother grow and in turn, their relationship was strengthened as well. Overall, I really enjoyed this book and I would recommend it to everyone looking for a fun, summery travel contemporary. 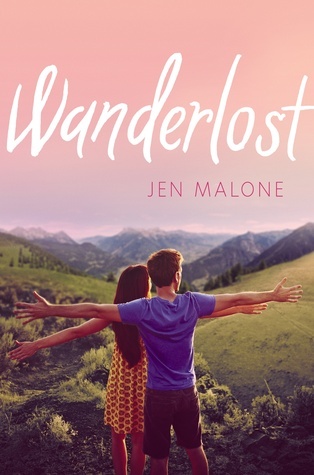 Sure, some of the situations are a little far-fetched, but I felt like this was easily forgotten because the story was just filled with so much fun, humor, romance and amazingly beautiful places. The hint of laughter is still in his voice as he says, “Nice ‘meeting’ you, Elizabeth. We’ll talk soon.” “Sure, okay. You too. Okay, then, loveyoubye.” I put the phone back in the cradle and then I pause as my words replay in my head. Oh God. I did not just tell a total stranger—my employer, no less—that I loved him. Did not. I roll over and scream into the sheets of my bed. “Okay, talk then. Oh, and Elizabeth?” “Yeah?” “Likeyoubye.” His laugh is warm in my ear as I hang up the phone. For seventeen years, I’ve been perfectly content in my little corner of Ohio and, even when my friends were making plans to go off to faraway colleges, I had no desire to go with them. I felt like I had already found somewhere I truly knew could make me happy forever, so what was the point of leaving? And I still feel that way about my home. I do. But now that I see all this and realize I couldn’t even have dreamed any of it because it was all so far off my radar, I have this weird uncomfortable twinge in my chest. Because . . . what else haven’t I bothered to dream, not thinking things could get any better? Have you read Wanderlust? What did you think about it? Thanks so much for the fab review – and for the Finding Wonderland visit.